This map shows territory of Japan. interesting map of Chiba-shi и OziExplorer calibration for gps. 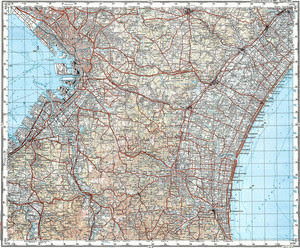 actual map of Ichihara with gps calibration free download. map of Mobara this. topographic map of Yotsukaido for Garmin. detailed map of Yachimata calibrated for gps. map of Togane calibrated download for free. detailed map of Oami и OziExplorer calibration for you. map of Naruto calibrated download for free. actual map of Yokota 1 cm to 1 km download for free. map of Yokoshiba for gps. interesting map of Yawata и OziExplorer calibration download for free. interesting map of Ushiku here. map of Uruido calibrated here. topographic map of Tsurumai и OziExplorer calibration for you. map of Toke calibrated for gps. map of Tatsutori with gps calibration here. detailed map of Soga calibrated presented.